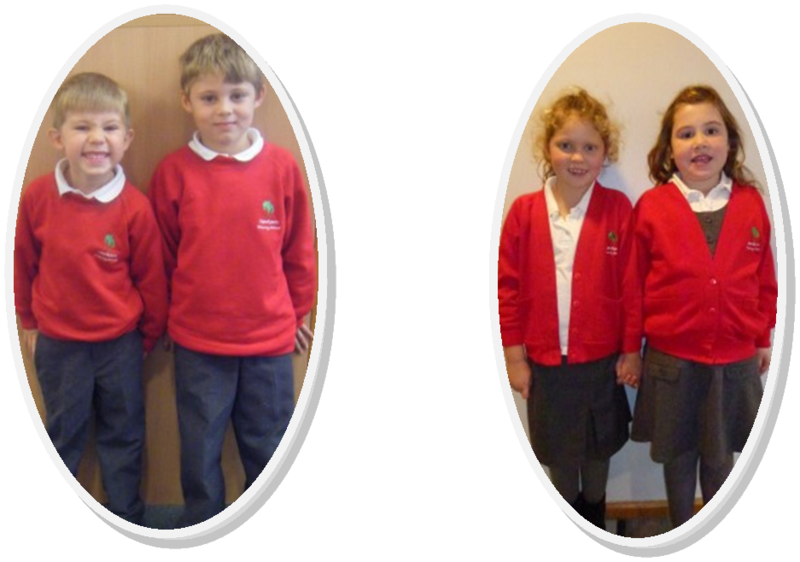 We encourage our pupils to have a pride in their school and wearing the correct school uniform represents this. We request that children wear school shoes, as plimsolls and trainers are for use during PE lessons only, with boots or heavy soled shoes for outdoor grounds lessons/work. High heeled shoes should never be worn. School sweatshirts, cardigans, polo shirts and t-shirts with logo may be purchased from Skoolkit in Fareham, along with book bags and PE bags. Children in both KS1 and KS2 should wear shorts (preferably black) and a white t-shirt. Red or black sweatshirts and jogging bottoms can be used during colder months. Shorts should be worn for indoor gymnastic lessons. All children will require plimsolls (preferably pull on style or Velcro for younger children) and a drawstring bag in which to keep their classroom. All items of personal property should be marked clearly with your child’s name.